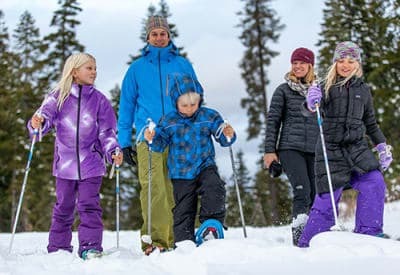 Snowshoeing is a great way to get out on the trails in winter and experience Tahoe’s gorgeous snow covered scenery and the quiet and solitude winter affords. 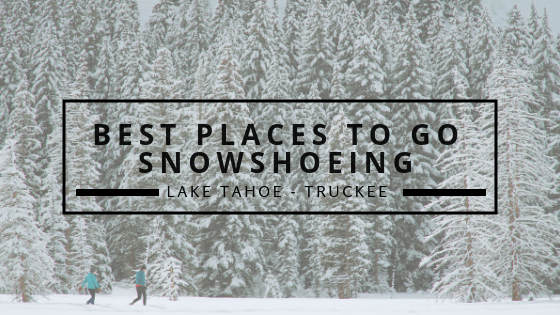 Thanks to an extensive trail system and lots of public lands, there are many place in the Truckee Tahoe area to explore on snowshoes. 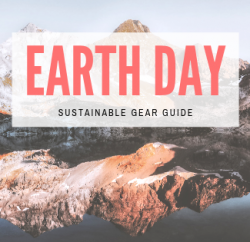 This family friendly, affordable activity is one that everyone can enjoy. 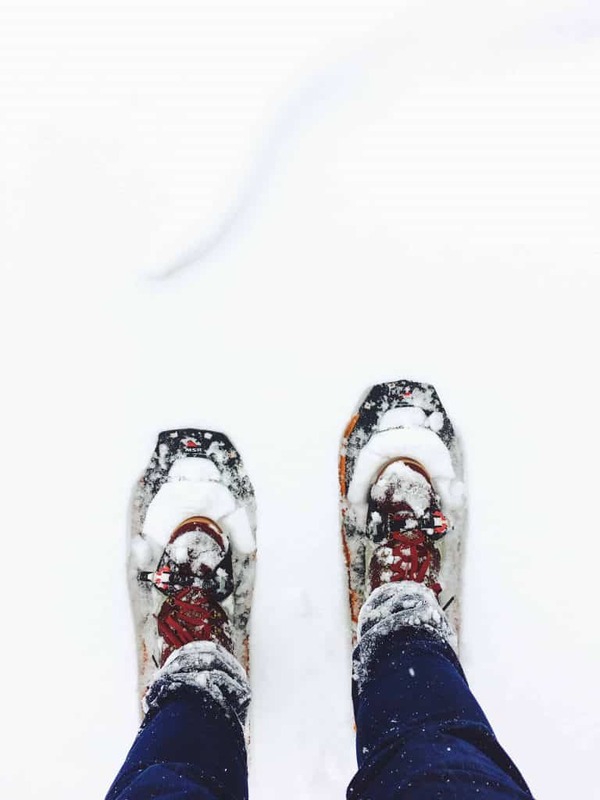 So grab your snowshoes and check out some of our favorite places to snowshoe! Located off of I-80 at the Boreal Exit, Castle Peak offers many places to explore on snowshoes. The varied terrain makes this spot an excellent choice for winter activities – snowshoeing, backcountry skiing, cross country skiing, etc. 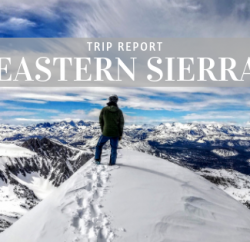 You can explore along the open valley towards Castle Pass or up to Andesite Peak for stunning views of Donner Summit. Head over the Castle Pass to the Peter Grubb Hut for a fun overnight hike. Pick up the Commemorative Overland Emigrant Trail off of Hwy 89, north of Truckee, near Prosser Dam. The trail takes you across gently rolling hills and open valleys. This quiet trail is great for wildlife watching so make sure to pack a pair of binoculars. There are so many places to go snowshoeing in the Mount Rose area, the options are endless. Popular spots include Tahoe Meadows, Chickadee Ridge, and the Tahoe Rim Trail. All can be access from NV 431, the Mount Rose Highway. Start at the Donner Memorial Visitor Center and grab a map of the park. 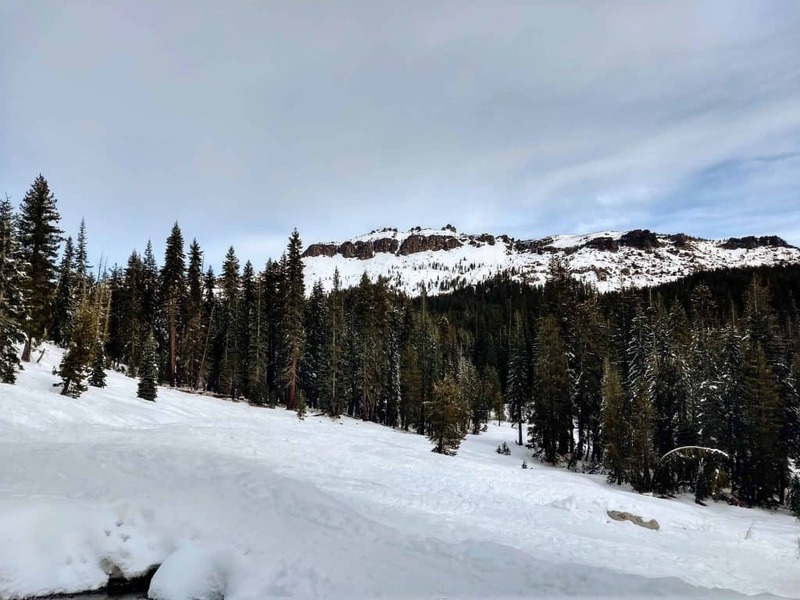 Explore the winter trails along Donner Lake and take in the stunning views of snow capped mountains around Donner Pass. You can turn this into a longer day by hiking into Coldstream Canyon. This easy, 2 mile snowshoeing loop is a great trail to take the whole family on. 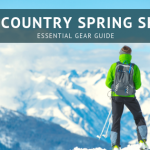 It’s also a great starting point for folks looking to snowshoe farther into the backcountry. This popular snowshoeing area is south of Tahoe City on the West Shore of Lake Tahoe. The Tahoe Rim Trail takes you up into these beautiful meadows. There are quite a few interconnected trails in this area providing many options for adventuring on snowshoes. Tahoe Donner has 11 km of single track just for snowshoes. 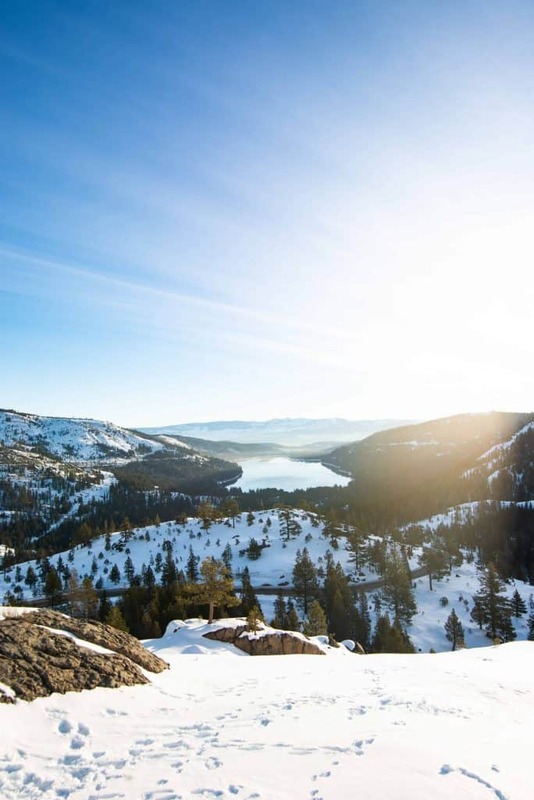 These quiet snowshoe trails take you to scenic vistas along the Tahoe Donner trail system. There is a lot to explore at Royal Gorge, the largest cross country ski area in North America. Take advantage of the vast terrain and beautiful High Sierra scenery surrounding this Nordic Center. Northstar has over 40 miles of cross country/ snowshoe trails that begin at mid mountain. These trails are dotted with warming huts that provide hot drinks and a place to escape the cold. 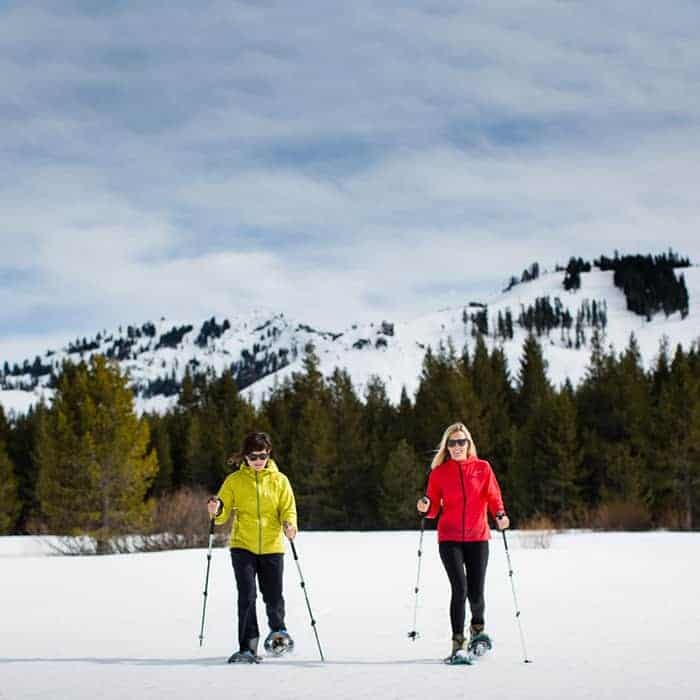 Take a snowshoe tour with Tahoe Adventure Company! Tahoe Adventure Company offers a variety of guided snowshoe tours including sunset tours, full moon tours, star gazing tours. Ready to try? 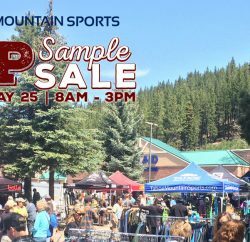 Rent Snowshoes at Tahoe Mountain Sports!